JK Coltrain was born in Columbus, Ohio. He spent his early childhood days between there and West Virginia where his parents operated a small Mom & Pop grocery store. His Dad also was an excellent auto mechanic. In fact he owned a number of repair shops over the years and was a weekend stock car racer. That’s one reason why JK is a Nascar fanatic to this day:). J.K. grew up surrounded by music & musicians. His cousin, Buddy Starcher was a professional recording artist on Columbia Records and a regular performer on the then popular Midwestern & Louisiana Hayrides. He also introduced the late Keith Whitley who first appeared on Buddy’s weekly radio show in Charleston, West Virginia when he was 8 years old. J K made his own first appearance on radio at age 12 and first TV appearance at age 14. His Uncle & Grandpa performed together at churches throughout the South. That’s where J K made his first appearance singing in church at the ripe old age of 11. His first professional job was at age 14 when he began singing with The Pleasant Hill Quartet. A well- known gospel group at the time. Of course in his teens he had to try his hand in high school dance bands like Fire n’ Ice and The Four Aces but by age 20 he had returned to his first love country music. At that time J. K. helped form a 7 piece country rock group called ‘The Southern Express’. They garnered a great deal of regional success and opened for many popular groups at that time such as Pure Prairie League, The Nitty Gritty Dirt Band, Poco & The Marshall Tucker Band. In 1983 he left The Southern Express to pursue a solo career as his heart was with more traditional country music. He appeared to be taking the music business by storm as he was often the featured artist on Ernest Tubbs Midnight Jamboree and many popular Nashville nightclubs and was dubbed The Star of Tomorrow by Country Music News. He first cracked the country music charts in 1987 with a self-penned song, West Virginia You’re Still My Home on the Studio 7 label. Since then he had enjoyed a number of chart successes including being shown in the Top 40 in Europe for 41 straight weeks. He also has made many appearances on radio & TV including The Nashville Showcase, The Midnight Jamboree, Nashville On Stage, The Jerry Lewis Telethon & Stars of Tomorrow Show. 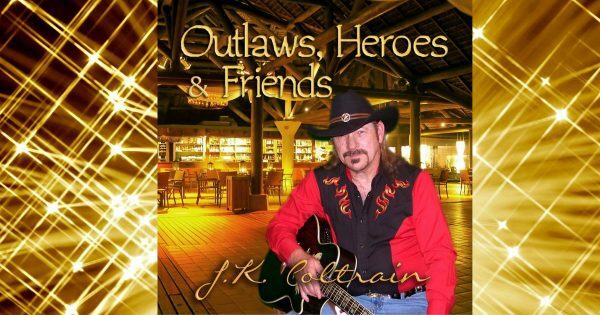 JK Coltrain has toured worldwide and worked with some of the greatest names in country music including Jerry Reed, Loretta Lynn, The Bellamy Brothers, Conway Twitty, Buck Owens, George Jones, Tammy Wynette & Jerry Lee Lewis to name just a few. 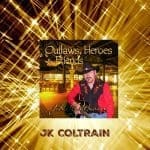 JK Coltrain Awards: In addition to still recording and performing on his own J K is now helping the new up & coming young artists serving as the President of Colt Records Nashville, Chairman of The Traditional Country Opry and hosting The Country Star Showcases. He was recently awarded The Texas CMA Entertainer and Best Country Album of The Year awards. J K is a member of: Traditional Country Music Hall of Fame Country Music Association Academy of Country Music Country Legends Association, Americana Music Association Roots Music Association BMI. Request a booking proposal quote for your event. Mention your budget.